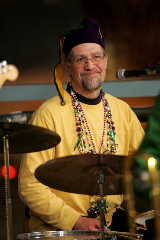 Our good friend and drummer Fred Gumaer hosts The Mid-Day Jamboree every Saturday from 1 - 3 PM on community radio KDHX 88.1 . 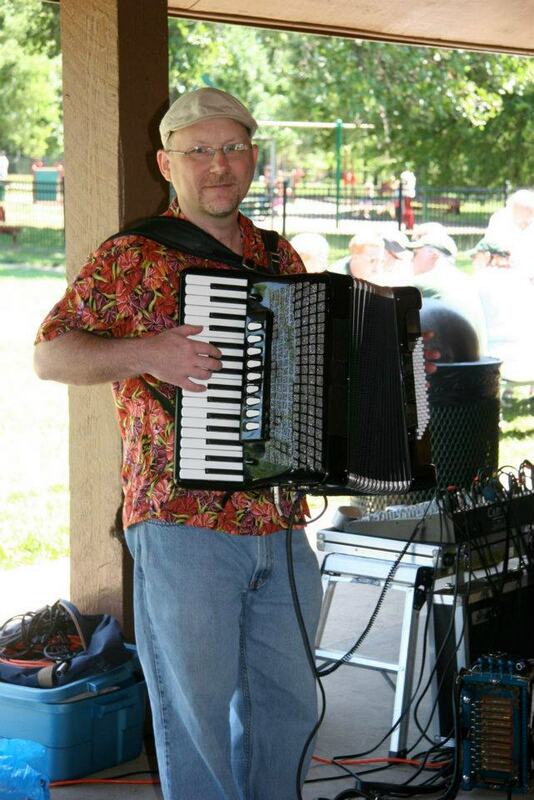 Local keyboard/accordion whiz Tom Martin plays traditional cajun music in his band The Southside Creole Playboys. If you have the good fortune of being in Louisiana with Tom & Gina, you'll have a great time... trust us on this one. He's also known for kicking off 'LA Woman' on the cajun squeezebox. 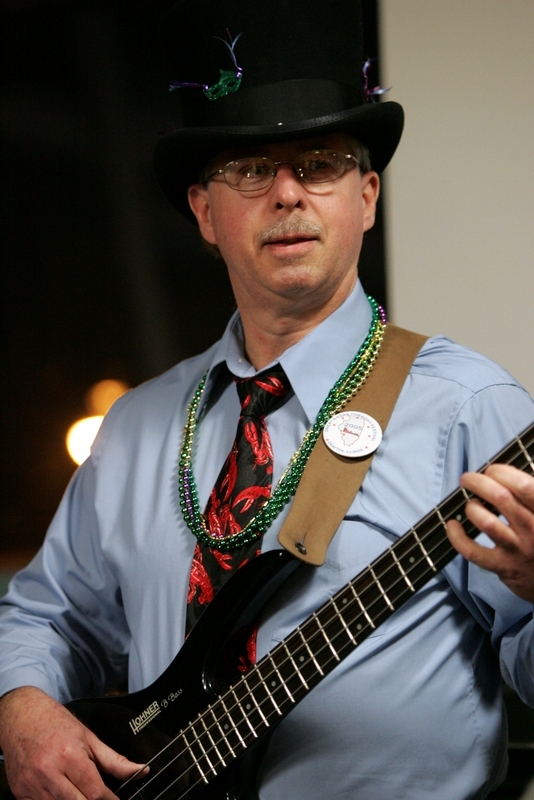 Gary Will is a 'first call' guitar-slinger for The Crawdaddys, and a lot of other bands too! Gary has also helped produce and record our music. You can catch up with him on Facebook... or better yet, catch him live and see the purple-haze-lefty-Strat-man for yourself. 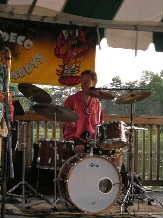 Jim Pender held the bottom line for the Crawdaddys for a number of years and currently stays busy with his other music projects. Give Jumpin' Jimmy a call and he just might show up at your gig in a top hat. 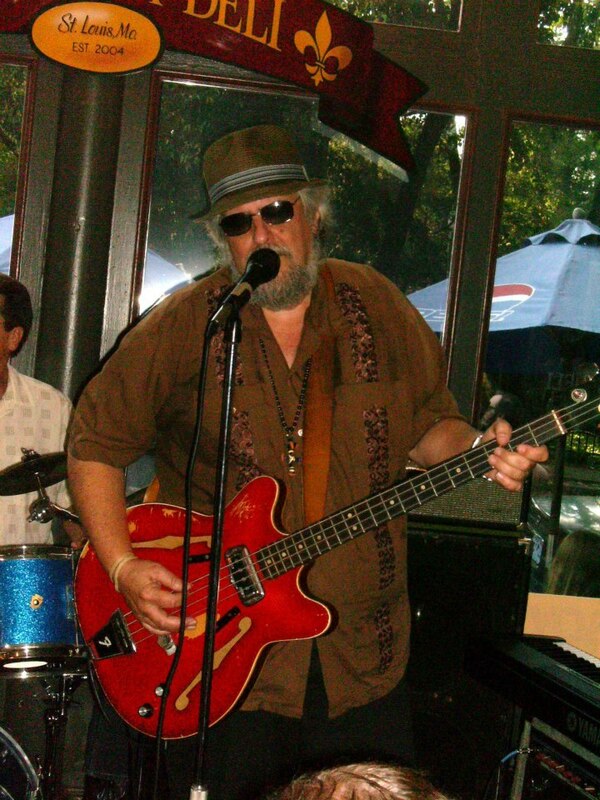 Crawdaddy Emeritus Mike Waters sits in from time to time and also plays in No. 4 Combo, Acoustic Gumbo, and The Waters Trifecta. Go see them... you'll have fun. Here's a link to some video of the Crawdaddys in action courtesy of Reed Radcliffe at TripleRPhotography. Check out StlBlues.net for the latest on live music in St. Louis. Copyright 2012 Zydeco Crawdaddys. All rights reserved.